Classic styling with an organic silhouette, Electric Charger snow goggles create the perfect package of style, fit and fog-free performance. Weighing a mere 2.7 oz., the Electric Electrolite snow goggles sport an ultralight EVA frame with an oversized cylindrical thermoformed lens to give you all the visibility you can handle. The ultralight EVA frame on the Electric Electrolite snow goggles helps them weigh in at a mere 2.7 oz., and the oversized cylindrical thermoformed lens gives great visibility down the mountain. 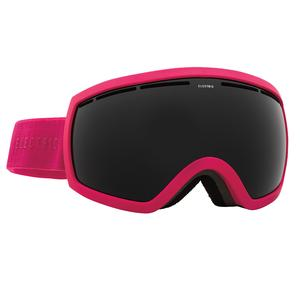 Offering classic styling with an organic silhouette, the women's Electric Charger snow goggles create the perfect complement of style, fit and fog-free performance.